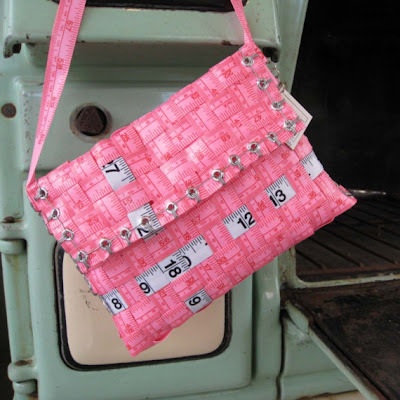 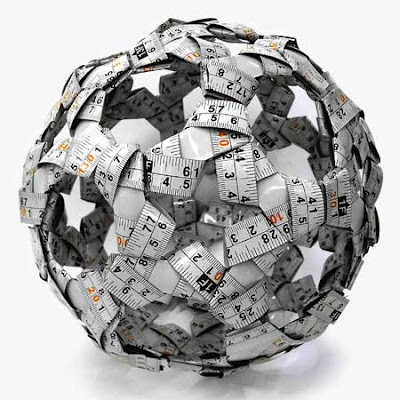 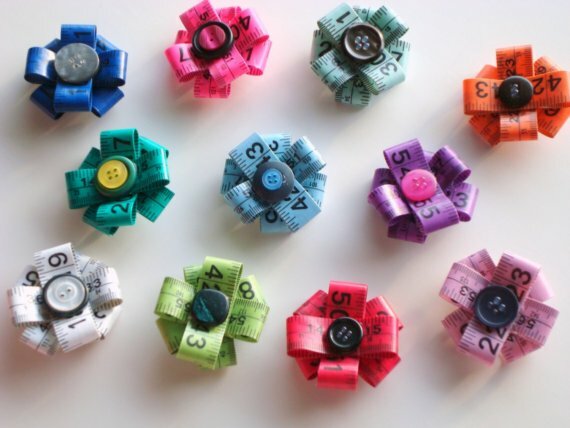 Here are some creative and functional reuses of tape measures from all over the world. 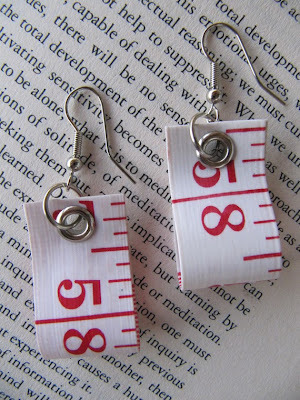 Vintage Tape Measure Bracelets: Make cool bracelets using vintage tape measures. 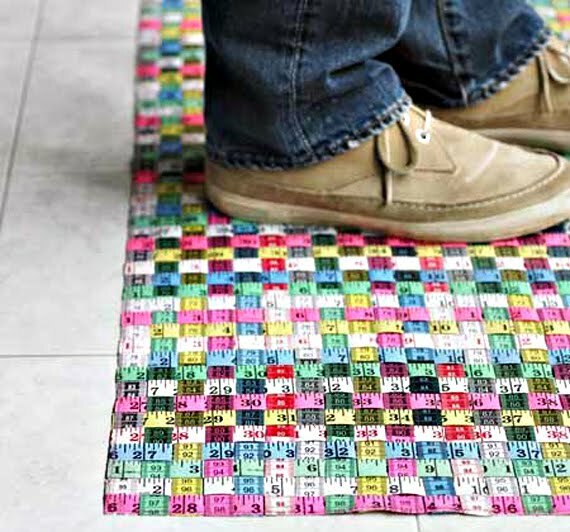 Measuring Tape Floor Mat: This colorful floor mat woven from used tape measures is an alternative to regular black or grey rubber floor coverings. 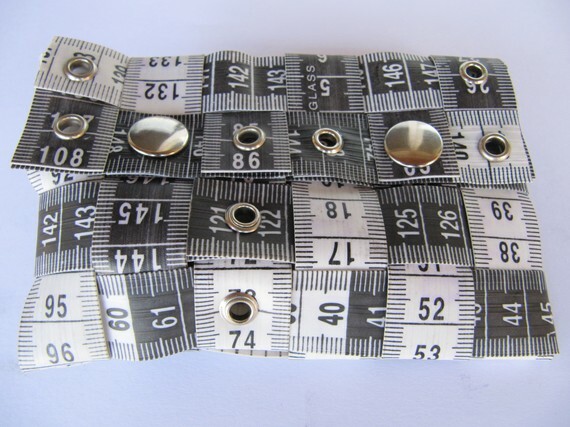 Measure Tape Pin Brooches: These cool pin brooches are made from measuring tapes and comes with a button. 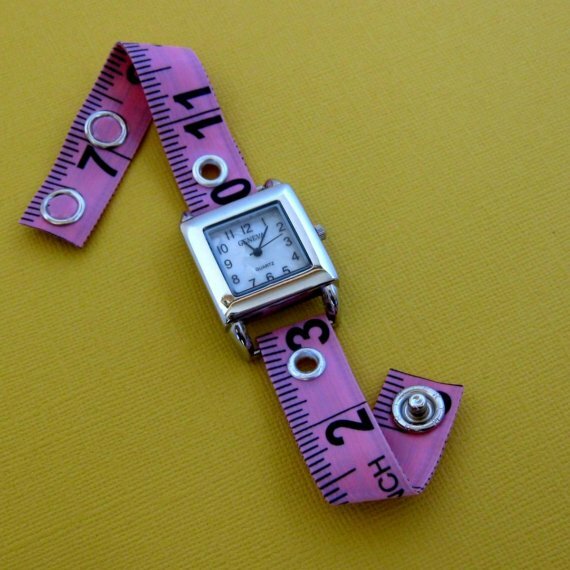 Tape Measure Watch: The watchband is made from a measuring tape and closes securely with a silver colored button. 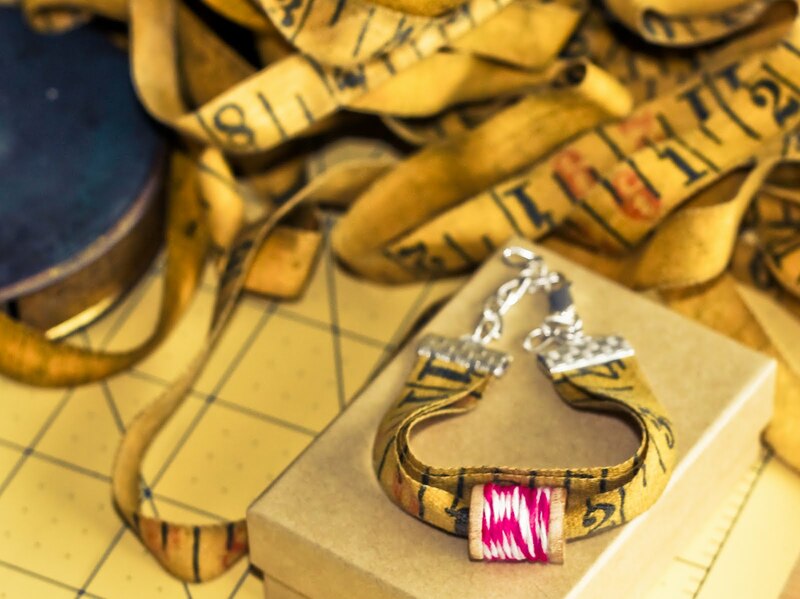 Measuring Tape Bracelet: Cool bracelet made from tape measure and a stainless steel base; it is wearable on both sides and with adjustable size. 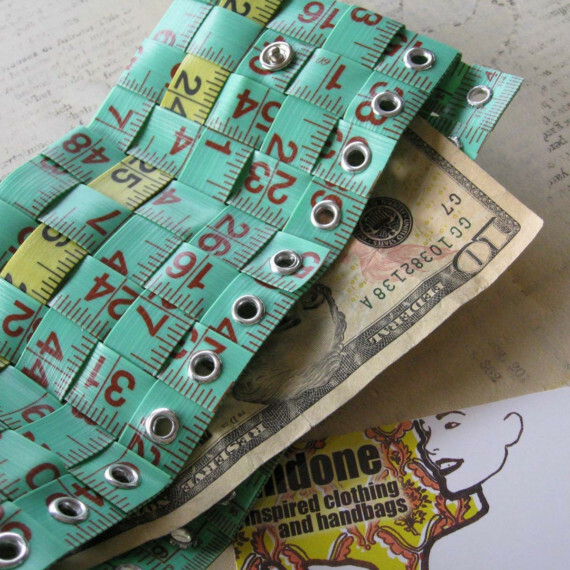 Measure Tape Wallet: This handmade measure tape wallet measures about 5" long and 3.5" wide, has enough space for credit cards, dollar bills and smartphone. Tape Measure Earrings: These are handmade set of earrings made of measuring tape and stainless steel. Tape Measure Wallet: A cool hand woven tri-fold wallet made with bright green and yellow measuring tape; it comes with silver colored metal eyelets. 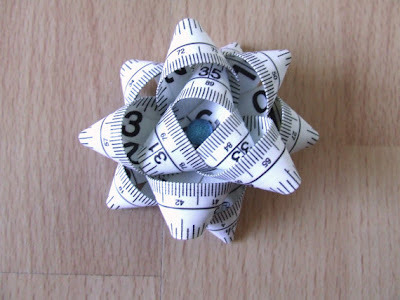 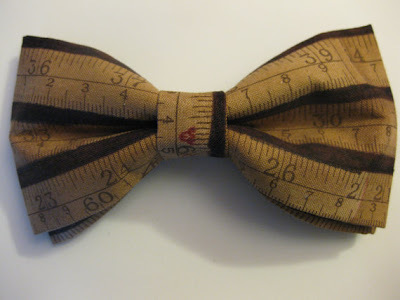 Tape Measure Hairclip: Handmade with a white tape measure, it is perfect for any hairstyle. 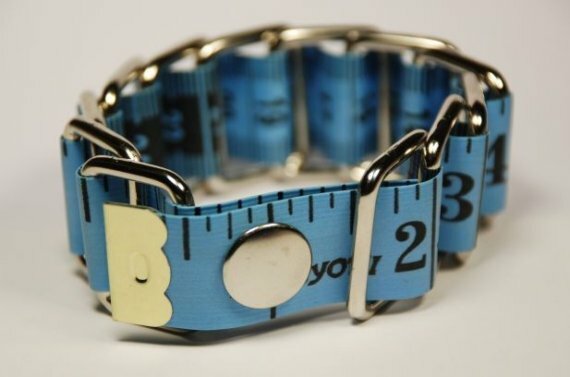 Measuring Tape Belt: This cool belt lets you know the real-time data and if your diet and exercise are having any effect or not? 3D Geometric Sculptures by D Smyth: It's an incredible 3D geometric sculpture created by weaving tape measures. Measuring Tape Pencil Case: If you have lots of pencils around everywhere and you are looking for something cool to store them, then you can make a measuring tape pencil case.